Gather + Nest Studio believes in handmade, thoughtful details for life's special moments and places. 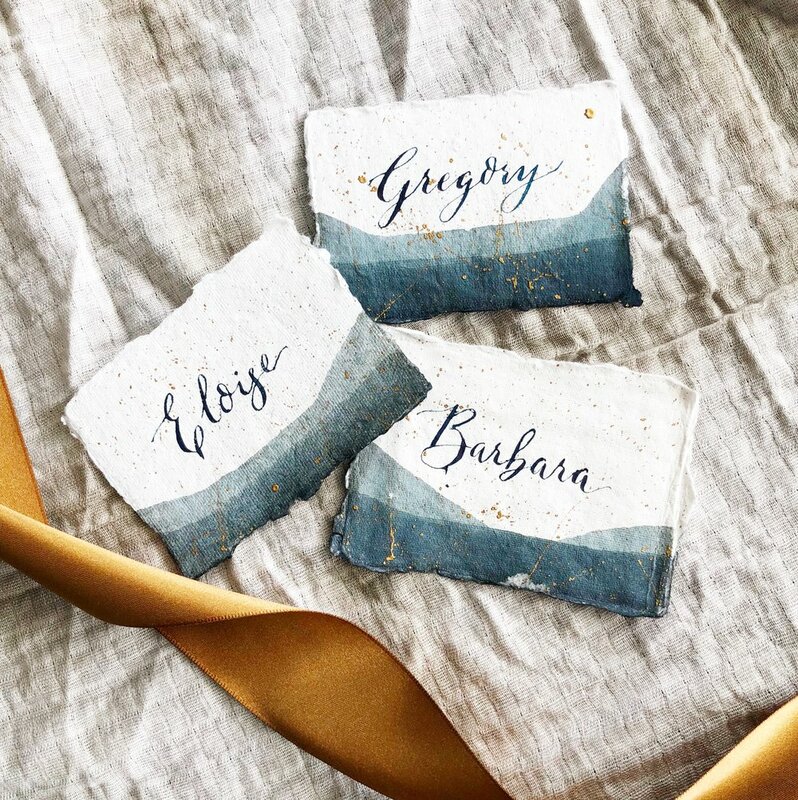 We specialize in hand lettering, modern calligraphy, and styling for weddings, events, and interiors. We're based in Rochester, Minnesota, but can work with clients anywhere! Let me create custom materials that carry your unique style and vibe through your entire day - including your reception. Your invitation sets the tone for your big day. Customize every detail and blow your guests away. An envelope tells you everything. Make a stunning first impression with handwritten calligraphy in a variety of styles.